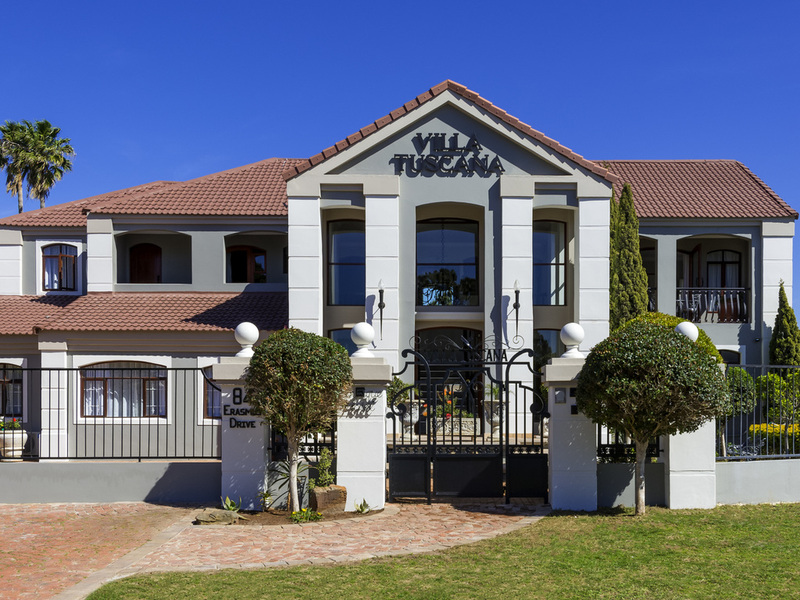 We look forward to welcoming you to our beautiful property, our team will ensure that you will have a truly memorable stay at Villa Tuscana and we are confident that this will be your preferred stay for all future visits to our city. This elegantly appointed guesthouse is perfectly located for both the business and leisure traveller. Enjoy sumptuous Italian meals in our dining room or an afternoon sundowner next to the sparkling waters of the pool. If you are in the city for work, mak e use of the comfortable and private boardroom. The spacious rooms and luxurious rooms ensure a good night's rest and relaxation. The 12 well appointed rooms and suites of Villa Tuscana, with Tuscan art deco influences, offer an inviting respite from business or leisure travel. Traditional Italian fusion comfortable family style dining.